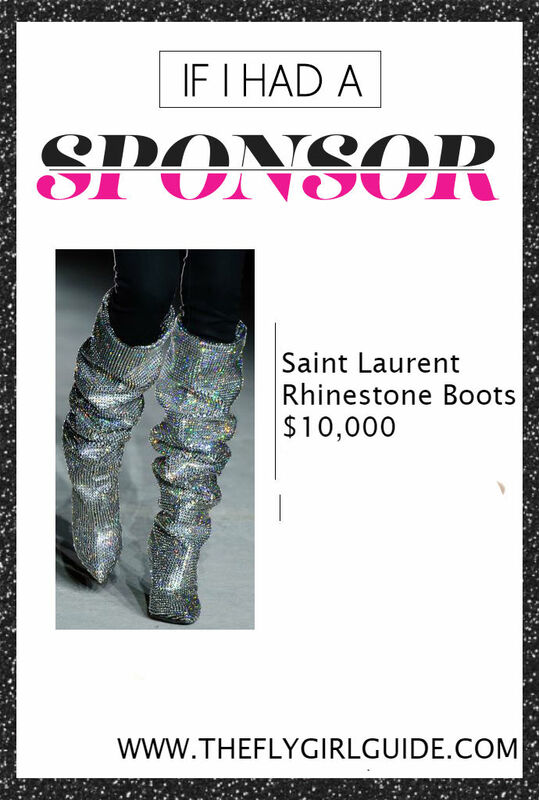 Saint Laurent's Swarovski Crystal Slouch Boots from Paris Fashion Week 2017 are everything. They have sparkles, glitter and are Rihanna approved. The boots have a $10,000 price tag and a waiting list. Rihanna, always light years ahead in the style stakes, was the first to predict the trend: She wore Vaccarello's disco boots fresh off the catwalk, styled with low-key ripped light denim jeans, oversized leather jacket, and hoop earrings.